A chapel was built in the north of the village in 1826, at a cost of £160. In 1829 it was said that 35 Methodists worshipped there. There were 40 free and 30 other sittings. On Sunday 30 March 1851, 40 people attended the afternoon service, and 60 attended in the evening. The chapel is no longer there. No evidence of nonconformity within the village of Nailstone has yet been found. This small village was partly in Shackerstone and partly in Nailstone parish. It was wholly absorbed into the parish of Shackerstone in 1935. For such a small place (population 169 in 1811) it was unusually influential, due to the missionary zeal of its preachers, who played a prominent role in the Baptist revival of the late 18th century in the midland counties. 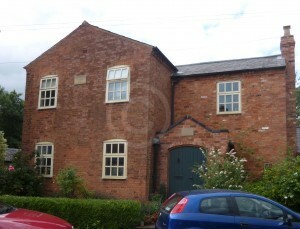 The first meeting-house in Barton was built in 1745, and had living accommodation above for single members of the community. The congregation described itself as ‘Independent’, but by the 1750s had adopted General Baptist practices. 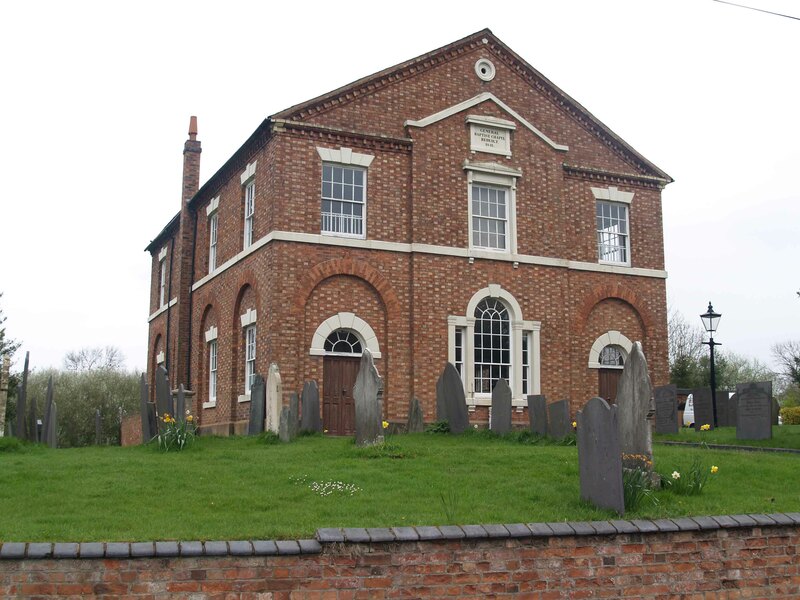 In 1760, the society split into five separate churches: Barton, Kegworth, Loughborough, Kirkby Woodhouse (Nottinghamshire) and Melbourne (Derbyshire). These congregations also later divided, so when the 150th anniversary of the Barton chapel was celebrated in 1895, more than 40 Baptist churches in the midlands claimed direct descent from the Barton congregation. The chapel was rebuilt in 1841 on a larger scale, variously described as seating 500-800 hearers, with pews throughout, both in the galleries and at ground level; there was also a Sunday schoolroom at the back. Curiously, it was omitted from the meeting house return of 1829, although local constables could not have failed to have been aware of its existence. There was just one service on Sunday 30 March 1851, in the afternoon, when 400 people attended. There was no Sunday school that day, but an average of 103 children attended Sunday school when held. In 1854, the burial ground surrounding the chapel was enlarged, and a house was built for the minister. The General Baptist chapel was built in 1821, and connected to the chapel at Barton in the Beans. With 150 free sittings, there was just one service on Sunday 30 March 1851, in the evening, with 40 people attending. The chapel closed in about 1960, and has subsequently been converted into a house, called Chapel Cottage. It still bears its date tablet.